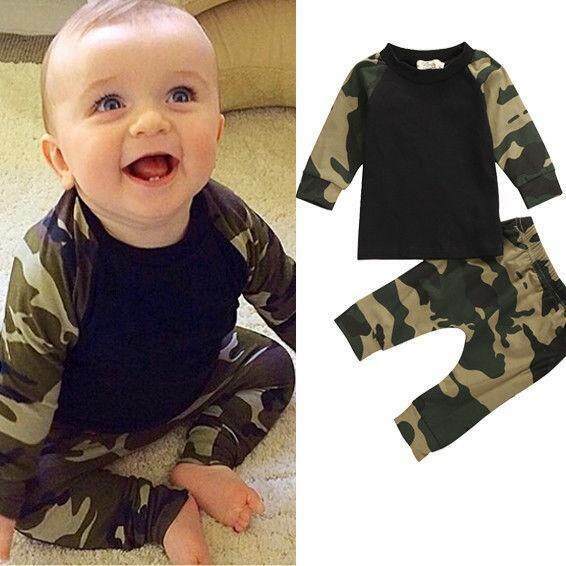 Tag Size:70/80/90/100,the tag size is Asian size, a little smaller than US/AU/EU size. Please make sure that these actual measurements will fit you. 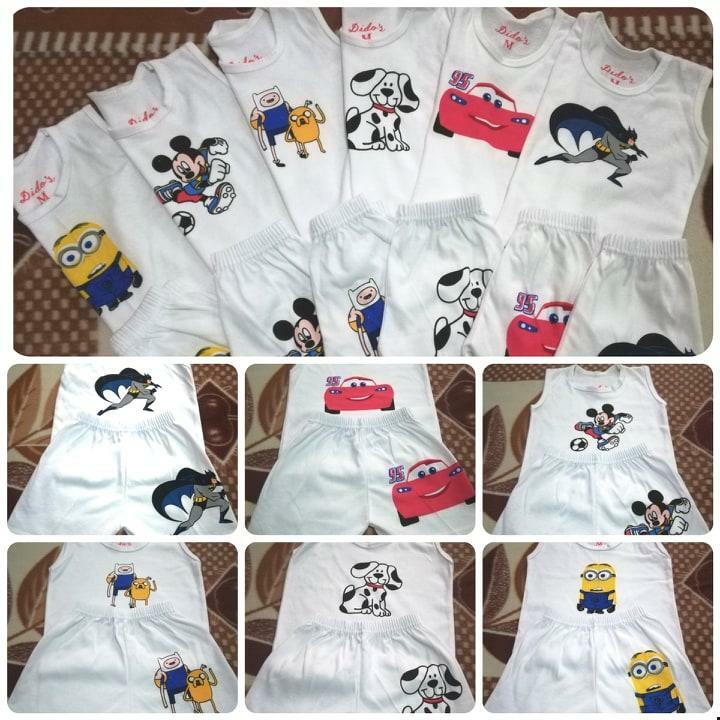 Size Chart (1 inch=2.54cm) Size 0~9Months 9~12Months 12~18Months 18~24Months Tag Size 70 80 90 100 Flat Bust cm 25.5 27 28.5 30 inch 10.0 10.6 11.2 11.8 Flat Waist cm 19.5 20 20.5 21 inch 7.7 7.9 8.1 8.3 Pants Length cm 40 43 46 49 inch 15.7 16.9 18.1 19.3 Measured before being stretched,known as Laid Flat Data, Please allow 1~3cm deviation. 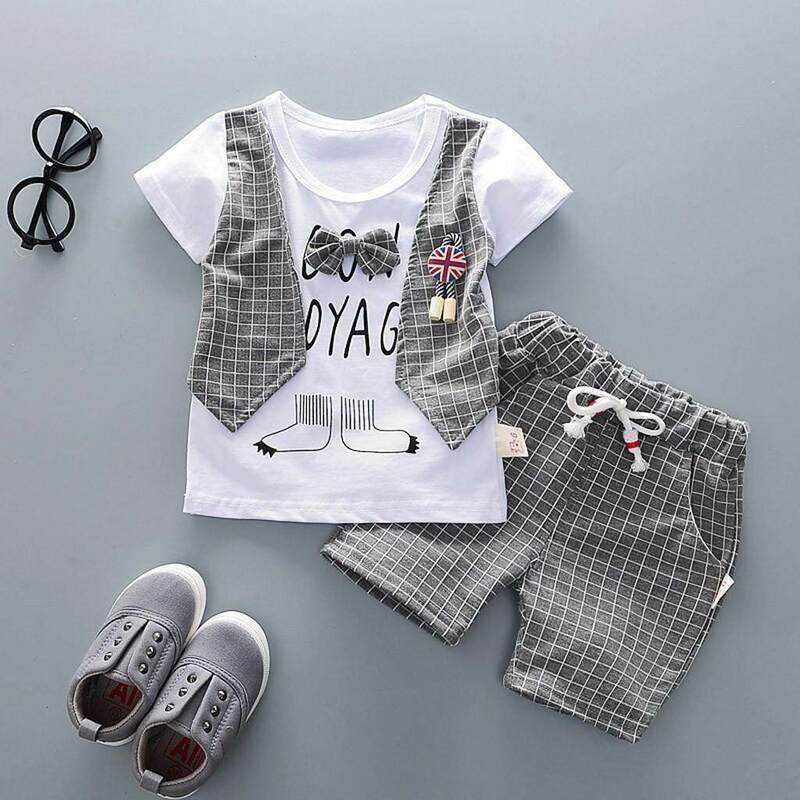 * Item Fabric:Polyester+Cotton * ItemColor:As pictures show * Item Condition:100% Brand New *Item Description:2pcs Newborn Toddler Infant Kids Baby Boy Clothes T-shirt Tops+Pants Outfits Set. 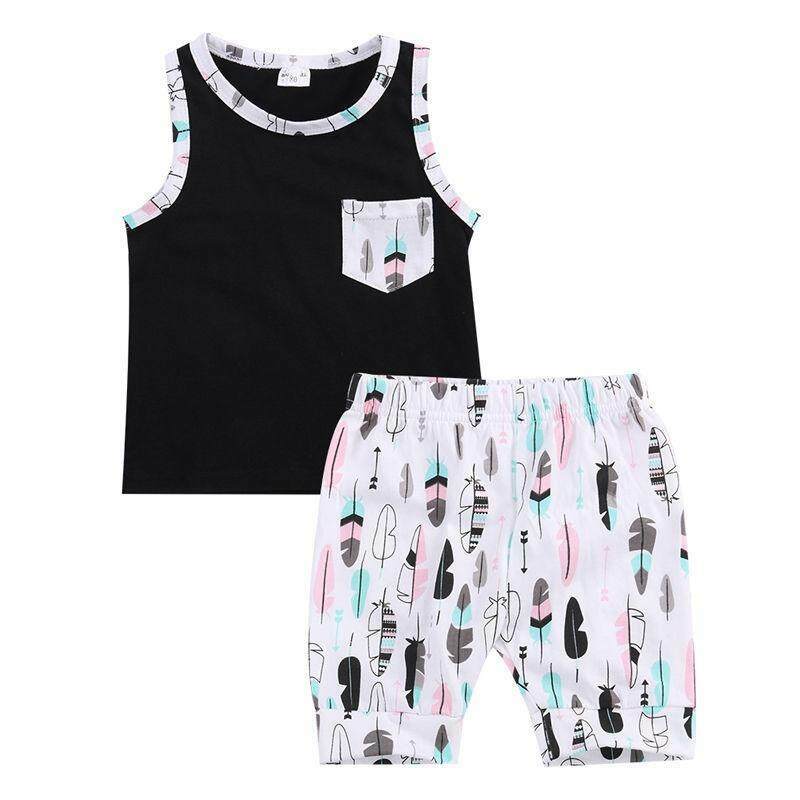 * Package Contents:1*Tops + 1*Pants(Hat is not Included) How to choose proper size? 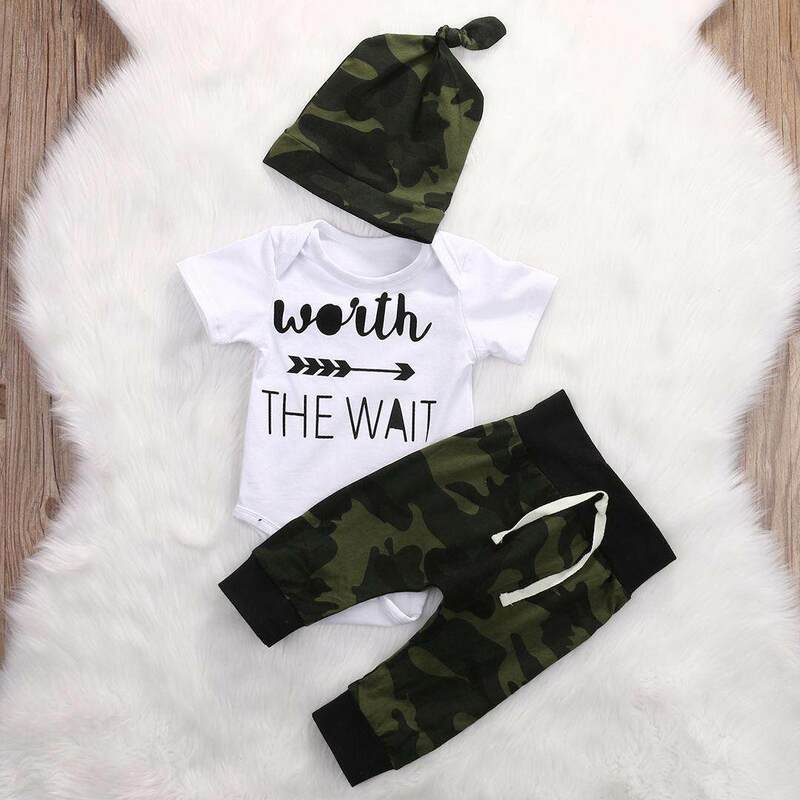 1)Use similar garmentto compare with the sizes 2)Choose larger sizes if your sizes are same as the flat measurement size chart Notes: 1, The real color of the item may be slightly different from the pictures shown on website caused by many factors such as brightness of your monitor and light brightness. 2, Please allow slight (±2cm)manual measurement deviation for the data.